Mango ( Mangifera species, ANACARDIACEAE). 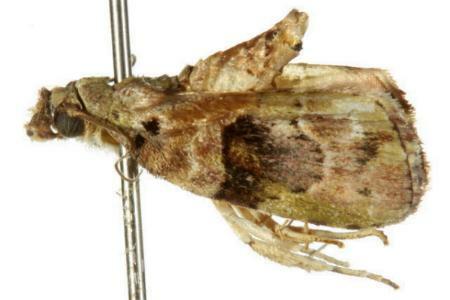 The adult male moth has greenish-brown forewings, each with a pattern of pale and dark markings, often including a pale area along the basal part of the hind-margin, and a wide dark wavy band across the middle of the wing. 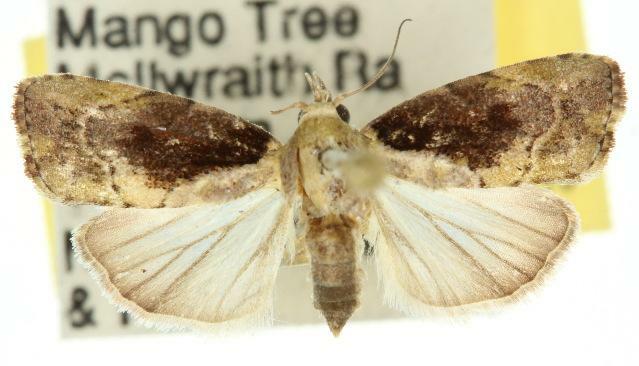 The hindwings are off-white, shading darker at the margins. The wings have slightly sinuous margins. 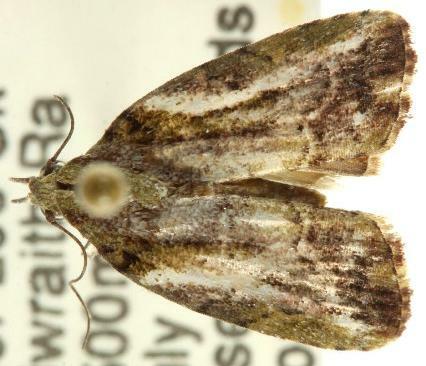 The green sheen fades to brown in dead specimens. The wingspan is about 2 cms. 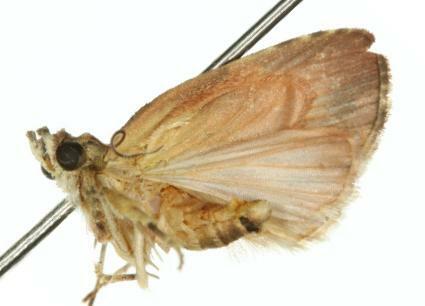 The female moths also have a vague white arc curving across each forewing from base to wingtip. Volume 14 (1902), p. 211, No. 2236b. Volume 6 (1862), p. 119, No. 122.